LUXEMBOURG, April 23, 2012 (ENS) – European Union foreign ministers in Luxembourg today agreed to suspend sanctions against Myanmar/Burma for one year, based on wide-ranging democratic reforms over the past year and democratic elections April 1. 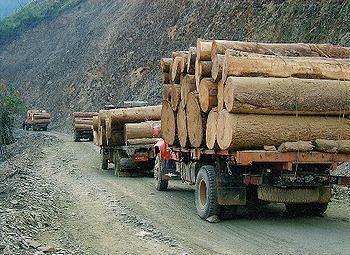 The EU foreign ministers said they intend to “work with the authorities to promote transparency and accountability in extractive industries as well as in environmental protection, in particular through the EU’s Forest Law Enforcement, Governance and Trade Action Plan.” This voluntary partnership system of trade accords with timber exporting countries, is intended to ensure legal timber trade and support good forest governance in the partner countries. The move is supported by National League for Democracy opposition leader Aung San Suu Kyi, and opens opportunities for investment and trade with Western firms. But all is not proceeding smoothly. Just as the EU suspended sanctions, Suu Kyi and newly elected members of her party deliberately did not take their seats in Myanmar/Burma’s parliament. Suu Kyi objected to the oath new MPs must take to “uphold and abide by the constitution of the union,” which guarantees to the military one-fourth of all parliamentary seats. In London today, the nonprofit Environmental Investigation Agency welcomed the suspension of sanctions as a step towards greater democracy but warned against a continuation of illegal logging and timber trading. “After half a century of corruption and rule by the military and their business associates, Burma simply has no credible infrastructure through which we can verify the legality and sustainability of its timber exports,” said EIA Head of Forests Faith Doherty. “It must be part of any reform that creates the very infrastructure needed to ensure the invaluable resources of the country’s forests are not squandered for the financial gain of a few but are instead properly managed and traded under the scrutiny of appropriate due diligence for the benefit of the people of Burma,” Doherty said. The majority of Burma’s natural resources are in ethnic areas, where conflicts between the army and ethnic groups are still frequent. “Even while the cease-fire process is being carried out with separate ethnic armed groups, fighting is still taking place with the Kachin Independence Organization, resulting in fresh displacement of tens of thousands of people internally and outside the country,” said the KDNG in a statement on its website. “These projects have been started without standards to prevent harmful environmental and social impacts, and will therefore cause more refugee and IDPs,” warned the KDNG. 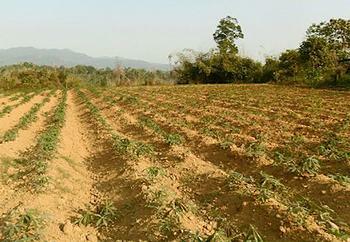 On April 6 and 7, 36 community based organizations from Burma gathered at the Thai-Burma border to discuss these issues. In view of these ongoing conflicts, the Environmental Investigation Agency warned today that trading in timber and raw materials from Burma “without a transparent and verified system” would accelerate deforestation and would do nothing to support the peace process. While European sanctions were in place, the trade of timber and wood products from Burma went through neighboring countries, with demand from China driving the trade in cheap high-value timber, say Western environmental groups. Global Witness, an NGO based in both London and Washington, DC, has investigated the illegal logging of Burma’s forests. 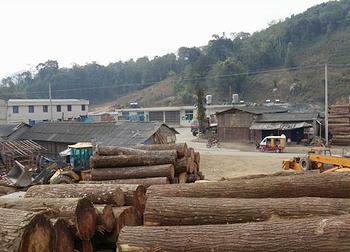 Following a 2005 Global Witness report exposing the illegal timber trade between Burma and China, the two governments placed a ban on logging and timber transportation in Kachin State in Burma and a Chinese ban on the import of Burmese timber. The European Union’s Timber Regulation will take effect in March 2013, forbidding the import of wood products made from illegally logged timber and requiring timber importers to use a due diligence system.